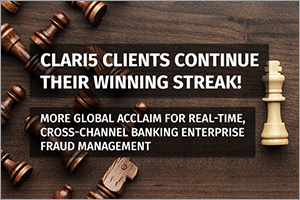 Clari5’s financial institution customers are continuing to receive highly coveted acclaim from global industry bodies for adopting a real-time, cross-channel approach to fighting financial crime. Who is Responsible? Bank or Customer? 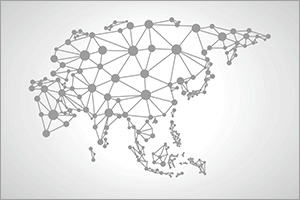 RBI’s recent mandate on Zero Customer Liability urges banks to implement a two-way communication for transaction alerts, which allows customers to reply to every transaction alert. 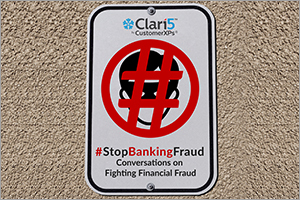 Discover how Clari5’s pre-built 2-way response capability can help your bank. New conversation on our Twitter channel with questions, perspectives and ideas around fighting fraud and enhancing customer experience in banks. Join in! With Money Laundering leading the charge followed by Corruption/Internal Fraud & Card Fraud, the situation may seem bleak but not entirely unsalvageable. 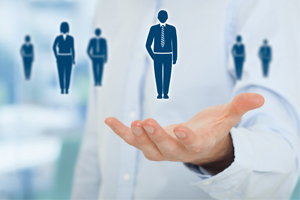 While there are several actionable ideas, There are a few that stand out.